Have you ever come up with a great idea for a quilt pattern you'd like to share, but did not know where to start? Have you ever thought about writing a quilt pattern? Just what does go into writing a quilt pattern? If you've ever wondered the answer to any of these questions, but did not know where to find the answers.... You're in luck! 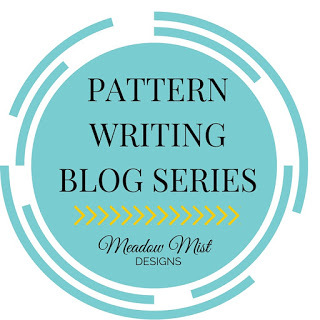 Beginning in January there's a new blog series called the Pattern Writing Blog Series written and hosted by Cheryl Brickey of Meadow Mist Designs. Cheryl will be taking us step by step through the process of writing a quilt pattern starting with design all the way through to a fully developed pattern. She will be working through an actual pattern as she talks about each step in the process with a free pattern at the end of the series. Some of the topics she plans to cover include; design, pattern basics, text, math, illustrations, testing, and finishing. She is having several pattern designers join her for a round table discussion about their own pattern writing process. Designers include Amy of 13 Spools, Anne of Spring Leaf Studios, Christa of Christa Quilts, Soma of Whims and Fancies, Yvonne of Quilting Jetgirl and myself. I'm excited to be participating and look forward to what everyone will be sharing. If you've ever thought of writing your own patterns or are just curious about what goes into the process, then join Cheryl and learn how it's done. 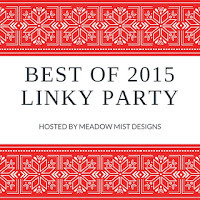 Follow her at Meadow Mist Designs. There will be giveaways at the end too, so don't miss out! I've been keeping busy working away in my sewing room these past few weeks. It's feeling a little like Santa's workshop minus the snow. For now. I have a few makes all finished up and ready for posting throughout the coming month. And now I am concentrating full time working on the Jungle Friends quilt. I'm working my way from the top down and have completed all the leaves and the monkey faces. The zebraz? They were made in the same way I made them previously for this ZebraZ quilt. 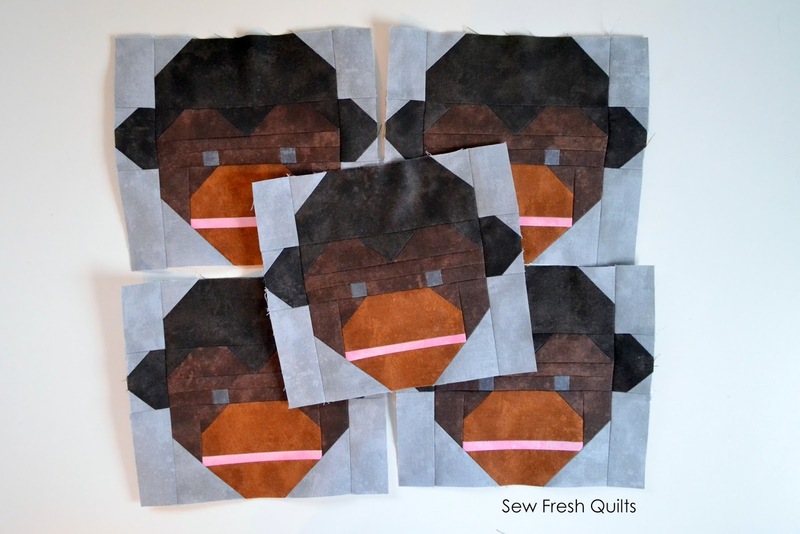 Their eyes and nostrils were made using a zig zag stitch after the blocks were pieced, Well, for this Jungle Friends quilt, I had all 8 zebra blocks completed. And then decided those poor critters needed some pieced eyes. So I redid the units for the heads, to include eyes, and am now in the process of ripping out a lot of seams to incorporate the new faces. Santa's workshop better be careful...it sounds like your sewing room is turning into a jungle :) I'm looking forward to Cheryl's pattern writing series. I can't wait to hear what great advice all of you have for us. I'm slowly trying my hand at it...baby steps. I'm very much looking forward to this series, and especially input from so many different designers. Since I've been a good girl this year, I am just sure that Santa will be very kind to bring me an EQ7 in my stocking. So, I guess this will help me jump on board with all the fun! I know what you mean when you have one element of a project that just doesn't seem to work out just right. I would totally be bothered too and obsess over it until I fixed it... happy fixing! Looking forward to the coming Pattern Writing Blog. Love your blocks, they are so wonderfully detailed. I know the feeling though, when something doesn't seem right - it bothers till you need to fix it. Sounds like a great series on pattern writing. Those monkeys...love them! I am looking very forward to the pattern writing series since I am just beginning this journey and not sure how far I really want to take it. Thank you so much for helping getting the word out about the pattern writing series and for being a part of it!! I really love the monkeys, they are so cute! Thanks for sharing the Pattern writing series, it promises to be very inspiring! And you'll be so pleased you changed the poor zebra's eyes, they would have taunted you forever! Keep up the good work! I am so excited about Cheryl's Pattern Writing series! Especially with all the talented guest bloggers...IE...you! Your zebras are just too stinking cute, Lorna! Love them! I'm excited for Cheryl's series. Loving the monkeys and zebras. You're zebra's look fine without nostrils - think of it as a design decision! That's the story I'm going with on my alligator - he doesn't have nostrils either! The pattern writing series sounds interesting! You could applique or embroider the nostrils on if it's bothering you. Love the idea of a pattern writing series! Lorna, your little animals never cease to amaze me! Ooh!!! I love the new eyes, will you share the revision with us? I bought your zebra z pattern earlier in the year! So sweet little monkeys. I love your patterns. Yes, I like the pieced eyes on the zebras, and I think pieced nostrils would look great, too! I just love those monkeys!